While there are certainly growing concerns over other mental health issues affecting college students today, this article covers the prevalent issues of depression, anxiety, suicide, eating disorders and addiction. Our guide is not a substitute for treatment, but it will help you find resources that lead to a happier and healthier college career. Please note that in any situation, it may be difficult for you to approach a friend regarding these illnesses. People do not like to be told when they are sick, what they are feeling or what to do. When it comes to several of these conditions, it is important that you, as a friend, are aware of what’s happening, but know that the decision to get professional help is ultimately your friend’s choice. You should be supportive and patient, but adding too much pressure to a friend with any of these diseases could make it worse. If you find that you’ve developed one of these mental health ailments, try to remember that your friends are looking out for your best interests. They want you to be well, and they are not attacking you. Talking about your problems with someone close to you may seem like a daunting task, but try to let them help you until you are ready to seek the professional help you need to get better. Depression among college students wears many faces, and, in a survey conducted by the Association for University and College Counseling Center Directors, 36.4% of college students reported they experienced some level of depression in 2013. Depression is the number one reason students drop out of school, and is a gateway issue that, if left untreated, could lead to other symptoms or suicide. Depression is a common but serious illness that leaves you feeling despondent and helpless, completely detached from the world. It interferes with your life, making it difficult to work, study, sleep and eat. Depressive illnesses are disorders of the brain and are likely caused by a combination of genetics, biological, psychological and environmental factors. According to the American Psychological Association, there has been a significant increase in the number of students seeking help for serious mental health problems at campus counseling centers since the mid-1990s, with depression at the forefront of the concerns. We all face some of these issues from time to time, but that does not automatically mean you or your friends are depressed. However, if you begin to experience these symptoms with some regularity, or several symptoms consecutively, you may want to consult your school’s mental health center. Identifying these issues in others can be tricky, as students often downplay or simply never talk about something deeply bothering them, often due to insecurities, fear of standing out or embarrassment. Incoming college freshman are often told that college is the best four years of their lives. You have a new independence to do what you want, within legal bounds, and are free to explore who you are and what interests you most. But with that are many factors, like making friends, getting along with roommates or choosing classes for a specific semester, where you may feel you have little to no control. The stresses of being away from home, managing coursework and finding your path can lead to intense feelings of inadequacy. You may feel helpless, as if you are just going through the motions, especially when you realize you’re not having the collegiate fun everyone insisted you would. These feelings, left unchecked, can lead to depression. With that in mind, it is important to understand how to both recognize the signs of depression and how to keep yourself healthy. Recognizing the signs of depression in yourself and others can be tricky. Everyone has off days, or times when they become overwhelmed with life, but most well-adjusted people will bounce back in short order. Those days when you or your friends feel down or less excited about getting out of bed should not be cause for alarm. However, when days become weeks, and simply getting out of bed becomes a struggle, there is real cause to worry. What Should You Do If You Start To Notice Signs of Depression in Your Friend? It almost goes without saying that you won’t have all the answers, but you can be a good listener when they attempt to discuss their issues. Offering words of encouragement shows your friend you are a source of support rather than one of criticism or judgment. Avoid telling your friends to “cheer up” or “snap out of it.” Many who are depressed are aware of their condition, and telling them to get over it, even with good intentions, is not helping. They often don’t have control over how they feel during their downward turns. It is important to seek help from professionals for any level of depression, so if you feel your friend is at risk, encourage them to seek help and offer to accompany them, be it to a student health center or a doctor’s appointment. While talking through their issues with you may be helpful, it is not a substitute for treatment; depression can worsen or lead to a number of other mental illnesses if left untreated. It’s important to understand your own susceptibility to depression. Knowing how you handle stress, feelings of isolation, homesickness and heartbreak may help you realize when you’re becoming depressed. For many who are already depressed, however, it’s difficult to look inward. Depression can be a cycle of dark thoughts and feeling worthless, and soul searching or self-awareness may not always be possible, but it is important that you try. Have you experienced extreme sadness or hopelessness? Does your family have a history of depression? Have you turned to heavy drinking or drug use to relieve feelings of hopelessness? Have you been experiencing thoughts of death or suicide? If you answered yes to any of the above, you may want to contact your primary healthcare provider or your student health center for a mental health assessment. If you feel comfortable speaking with a friend or relative about your concerns, have someone help you research treatment options and accompany you to your campus health center. A support group could also be beneficial; the Depression and Bipolar Support Alliance has a geographical locator for support groups in your area. The Anxiety and Depression Association of America also offers a set of useful support tools. Anxiety and Depression Association of America: This organization is dedicated to promoting the prevention, treatment and cure of anxiety, depression and related disorders. Its site offers insight into understanding depressive mental illnesses, provides links for those seeking help and identifies mobile apps designed to help people living with depressive illnesses. National Institute of Mental Health: A division of the U.S. Department of Health and Human Services, the NIMH works to transform the understanding and treatment of mental illnesses through clinical research, paving the way for prevention, recovery and a cure. NIMH offers a wealth of information on pinpointing signs and symptoms of mental illnesses, resources for seeking help and opportunities to participate in clinical trials to further research. ULifeline: This online resource for college students seeking mental health wellness provides a wealth of information, such as tips on helping friends in crisis and ideas on developing good wellness habits. American College Health Association: The ACHA promotes healthy campus communities and works to serveas the principal leadership organization for advancing the health of college students. There are many resources such as helplines, brochures on different types of depression, and external links for seeking help. The Jed Foundation: The foundation has a number of online resources to promote emotional health and prevent suicide among college students. For example. Help a Friend in Need is a community guide for social media users to identify warning signs in friends at risk. Through its Half of Us campaign, the foundation promotes mental health awareness nationally via on-air or live events and connects students with health care providers. Generalized anxiety disorder (GAD) – Constant, severe anxiety that interferes with day-to-day activities. Obsessive-compulsive disorder (OCD) – Unreasonable thoughts, fears and obsessions that lead you to repetitive behaviors or compulsions. Panic disorder – Characterized by frequent sudden attacks of terror, panic and constant fearfulness. Posttraumatic stress disorder (PTSD) – A condition that’s triggered by experiencing or witnessing a terrifying event. Social anxiety disorder (SAD) – When everyday interactions cause irrational anxiety, fear, self-consciousness and embarrassment. The causes of anxiety disorders aren’t completely understood, but they could include genetics, naturally occurring brain chemicals, life experiences or stress. If you experience extreme anxiety around exams, it may simply be test anxiety. There are generally affordable treatment options available to students on campus, and the ADAA has a list of low cost treatment plans and resources available to you. With the number of ways to get help, there is no reason you shouldn’t. One of the most important things to remember about anxiety disorders is that brief and occasional flashes of anxious feelings or behavior do not automatically indicate a mental illness. If the anxious feelings persist, or if they begin to manifest in obsessive behavior or an overwhelming sense of fear, it is time to seek help for yourself or your friend. What Should You Do if You Start to Notice Signs of an Anxiety Disorder in a Friend? College students must deal with a variety of stressors. Such sources of stress don’t necessarily cause anxiety disorders, but they can worsen the symptoms. While anxiety disorders are the most common mental illnesses affecting the U.S. today, identifying signs in others can be difficult, as symptoms can seem like normal stress or anxiety, depending on your own perceptions of what constitutes stress. It can be hard to separate yourself from your own biases, but it’s important to first recognize how much experiential variance there is for an illness as common as anxiety. If you believe someone may have an anxiety disorder, be an active listener when they are feeling stressed or anxious, and help them research next steps. Avoid criticizing or belittling the severity of their anxious symptoms and encourage coping strategies that avoid the issues or cause further anxiety. Encourage your friend to visit your campus health care center and seek help from a professional. If your friend is reluctant to seek treatment, you can consult a mental health care provider for suggestions moving forward. Are you experiencing anxious or worrisome thoughts on a daily basis? Are you plagued by fears others perceive as unfounded or irrational? Do you avoid everyday social activities because they cause you anxiety? Do you experience sudden heart-pounding panic attacks? Is your anxiety interfering with your school work, social life and family? If you answered yes to any of the above questions, you may want to consult your primary healthcare provider or contact your student health center for a mental health assessment that can help determine if you are experiencing an anxiety disorder. The ADAA has put together a list of coping techniques to help students living with anxiety. Anxiety disorders are highly treatable, and if you feel you are suffering, take your mental health seriously and contact a professional today. The following organizations are excellent resources for students suffering from anxiety disorders. Each organization provides information on the different forms of anxiety and resources that explore approaches to coping. Anxiety and Depression Association of America: This organization is dedicated to promoting the prevention, treatment and cure of anxiety and depression, and related disorders. This site offers insight into how we might better understand depressive mental illnesses; it also suggests several innovative mobile apps that cater to users with depressive illnesses. American Psychological Association: The APA is dedicated to advancing the creation, communication and application of psychological knowledge to benefit society. This site offers a great deal of insight into the differences between anxiety disorders and depression, and has tools to help you find a Psychologist specializing in anxiety disorder treatment near you. Anxiety Resource Center: This nonprofit is dedicated to offering assistance to those suffering from anxiety disorders. The website has a lengthy list of education materials, a newsletter, and a blog to help you stay updated on breakthroughs in research and trends. Social Anxiety Association: Promoting the understanding and treatment of social anxiety disorder, this nonprofit maintains a large body of resources for people suffering from social anxiety. The site provides links to support groups, information on how to find health professionals, news and updates on the disorder, and extensive information on treatment options. Beyond OCD: This site features suggestions and resources intended to help sufferers cope with and conquer OCD in college. Beyond OCD also offers tools for visitors to find support groups in their area. College can be a stressful time. Feelings of guilt, hopelessness and despair can build when students don’t take steps to cope with stressors. Suicide is defined as the act of deliberately taking one’s own life, and it is the second leading cause of death among college students. In a 2011 report from Centers for Disease Control and Prevention, there were 39,518 suicides reported in the U.S., making it the 10th leading cause of death that year. Statistics show that 10% of college students has thought about or made a plan to commit suicide. There are over 1,000 suicidal deaths on college campuses in the U.S. every year, as reported by Emory University. It’s important to note that most students who are suicidal suffer from depression or other mental illnesses. Many students experience frustration and doubt, but sometimes those thoughts gain a frightening momentum, bringing students to a place where they seriously consider ending their lives. What Should You Do if You Start to Notice Suicidal Behavior in Your Friend? If you are concerned a roommate, friend or peer is suicidal, contact your campus counseling center immediately. Students who are suicidal often communicate their intent to those around them, so be aware of signs of depression and do not take their actions lightly; you could save a life. If any of the behaviors listed above are present in your friend, it’s important you talk to them about your concerns as soon as possible. They could be in a fragile state, so approach them with patience and help them seek out a mental health professional. If you’re unsure how to approach your friend, you can consult online suicide prevention programs for specific advice; if you feel the situation is an emergency, it may be best to immediately call 911 or another urgent care service. How Do You Know if You Are Suicidal? Are you withdrawing from friends, peers, and activities you used to enjoy? Have you ever told someone you thought about killing yourself? Have you experienced feeling of worthlessness or guilt? Have you recently begun to abuse drugs or alcohol? Do you experience extreme anxiety or intense anger? If you answered yes to any of these questions or are having thoughts about killing yourself, tell a friend or call your mental health center. Suicide is a preventable tragedy, and if you’re feeling alone or hopeless, it’s important you seek help. Active Minds: This organization is dedicated to educating and changing the conversation about mental health on college campuses. There are over 400 chapters on campuses across the U.S. that work to promote the growing concerns of mental health and teach prevention techniques for students and faculty. Active Minds has a list of resources for students in a crisis, and has a therapist/counseling search tool for locating professionals in your area. National Alliance on Mental Illness: Dedicated to improving the lives of Americans affected by mental illness, NAMI provides information on suicide prevention, a link to a 24 hour suicide lifeline crisis chat, a text support line and social network groups to join the conversation. American Foundation for Suicide Prevention: The AFSP works to end and “prevent suicide through research, education and advocacy.” It has a wealth of information on suicide statistics in America, prevention techniques and a lengthy list of available resources. The foundation also hosts Out of the Darkness Walks on campuses across America to raise funds for youth suicide prevention and to reach out to students to help create a safe environment. National Suicide Prevention Lifeline: Calling the toll-free number, 1-800-273-TALK (8255), connects those in need to compassionate people who are there to provide the emotional support some can’t find anywhere else. They will help family and friends of those at risk find ways to help their loved ones. All calls are confidential. The Trevor Project: A project began to give LGBTQ individuals of any age a safe space to talk and find support, the Trevor Project provides several outlets for communication and help. The Trevor Lifeline, 1-866-488-7386, is a toll-free, 24/7 intervention and suicide prevention service. Millions of college students – both women and men – develop eating disorders during their college years, and a vast majority does not seek help or don’t realize the extent of their issues. Though the numbers do not often reflect the number of males who suffer from eating disorders, they are nearly as likely to develop a disorder as women. Due to cultural views of eating disorders, however, they don’t often seek treatment; bulimia and anorexia are seen as women’s issues. Anorexia Nervosa – Characterized by an unhealthy fixation on thinness, distorted body image and fears of gaining weight, this disorder results in disturbed eating behaviors and emaciation. Bulimia Nervosa – This is a binge eating disorder, involving recurrent and frequent episodes of eating unusually large amounts of food, followed by behavior that compensates for binging, like purging, fasting or over-exercising. Binge Eating Disorder – BED is characterized by constant cravings that occur any time of day and that then result in binge eating. This is often associated with poor body image and low self-esteem. The signs and symptoms of eating disorders vary by person and condition; many depend on the mental state of the individual suffering from the disorder. However, there are several red flags that are common factors for anorexia, bulimia and binging. We all have days where our self-image isn’t the best. We look in the mirror and sigh because all we see are our flaws. We sometimes don’t eat, forget to eat, or eat junk when we’re stressed or have an over-full schedule. Though there are signs you can watch for in yourself and your friends to determine an eating disorder, you should remember that few and random occurrences of each do not mean someone is at risk. When the random complaints about weight become all a friend can focus on, or when you notice you’ve started skipping meals and binging on junk food and then feeling guilty afterwards, you may want to approach this topic. If you’re worried the behavior in a friend may have been going on long before you noticed, ask them gently about their eating habits. If you fear your friend won’t respond well to your concern, or you’re worried they will react poorly, you can contact a professional who will walk you through how to broach the subject. It may not be easy for you to get your friend to talk about their problems because no one likes to be told they’re sick. What Should You Do if You Think Your Friend is Developing an Eating Disorder? Eating disorders aren’t just about eating and weight; they come with underlying stress management and self-esteem issues. Many college students with eating disorders don’t seek treatment because they are unaware of the severity of their disorder, or they might be avoiding treatment by refusing to acknowledge they have a problem. When caught at an early stage, eating disorders are highly treatable, so it’s important to let your friend know your concerns shortly after you notice signs of a disorder. Is your friend skipping meals or only eating small portions? Is your friend suddenly uninterested in foods they once loved? Is your friend limiting their meals to foods very low in calories? Is your friend taking diet pills excessively or medication that suppresses hunger, such as Adderall or Ritalin? Does your friend disappear suddenly to the restroom after meals? Are your friend’s teeth noticeably stained? Are they using mints after trips to the bathroom or perfume to mask the smell of vomit? If you answered yes to any of these questions, your friend could be developing an eating disorder. Many college students and young adults a negative body image during their college years. While this is certainly a sensitive time, don’t let worries underscore the importance of valid concerns. If you need help approaching your friend, consult the National Eating Disorder Association, and get matched with someone trained to assist friends and family address eating disorders with their loved ones. Do you refuse to eat food or skip meals? Do you fear eating in public with others? Do you count calories out of a need for control? Do you have strict eating habits that you feel guilty and ashamed for breaking? Do you have a history of perfectionism? Are you obsessed or dissatisfied with your weight or body shape? Do you find yourself eating large amounts of food and then purging or making yourself vomit? Have you avoided eating for a day then overate when you became too hungry? Have you noticed excessive hair growth on your arms and face or loss of your menstrual cycle? If you answered yes to any of these questions, or believe you have an eating disorder, do not delay seeking treatment. Eating disorders can become life-threatening, and it’s important to receive treatment as soon as possible. If you need assistance helping a friend through an eating disorder, or if you need to understand more about them before you come to terms with the fact that you may have one, the following list of resources are a good place to start. Each organization provides information on getting help for yourself and a loved one. National Eating Disorder Association: NEDA is dedicated to improving the understanding of eating disorders in America. Its site has a list of links and tools to seek help and a wealth of information regarding support groups, treatment referrals and research studies. National Association of Anorexia Nervosa and Distorted Disorders: ANAD is dedicated to the prevention and alleviation of eating disorders. The organization has a helpline and email to provide information and answer questions for sufferers. ANAD also hosts an annual conference for news and updates on the disorders and to connect patients with healthcare providers and support. Academy for Eating Disorders: This global network is dedicated to the research, education, prevention and treatment of eating disorders. AED is a great resource for learning about the differences between eating disorders, identifying signs and symptoms, and finding information for professionals in your area, as well as news on treatment options and developments in research. Eating Disorder Hope: This site provides information on education and awareness, recovery tools, and access to treatment and support. The organization also has a blog with specific news and information for college students suffering from eating disorders. American College Health Association: The ACHA promotes healthy campus communities and works to serve as the principal leadership organization for advancing the health of college students. Many resources are made available on the site: helplines, brochures on different types of depression, and external links to seek help. Between 1993 and 2005, there was a 93% increase in the use of stimulants like Ritalin and Adderall on college campuses. These drugs have become popular for the boost of energy and concentration they provide around exams. In the 2012 National Survey on Drug Use and Health by the U.S. Department of Health and Human Services, it was reported that 21.3% of young adults between 18 and 25 used illicit drugs. Of that same age group, 3.8% admitted to using psychotherapeutic drugs for non-medical purposes. If you begin to experience one or several of the symptoms above, you may be at risk. Genetics contribute to your likelihood of developing an addiction, especially if there is a history of alcohol or drug abuse in your family. If you find yourself turning to drugs or alcohol more frequently to absolve feelings of stress or sadness, contact your student health center to learn more about addiction and the next steps available to you on campus. It is important to know and understand that addictions need to be taken seriously and treated effectively with the assistance of a professional healthcare provider. Recognizing the signs of addiction can be difficult, especially if you’ve never witnessed or experienced them first-hand. It’s not always clear when alcohol or drug use has turned from recreational to habitual, and those who don’t want to admit they have a problem will use tactics that evade and undermine your worry. What Should You Do If You Believe Your Friend Has An Addiction? Engaging in alcohol and drug use in college is incredibly commonplace, making it more difficult to identify signs of an addiction from the outside. Many students don’t believe, or refuse to admit, they’ve become addicted to a substance due to the pervasive drug and alcohol use and abuse on college campuses. However, if you are concerned, there are ways to determine if your friend has developed an issue. Does your friend drink to relieve stress or suppress issues? Has their drinking or drug use interfered with their relationships with others? Have they withdrawn from activities or school work? Does your friend’s life revolve around drug or alcohol use? Have they developed a change in personality? Have you noticed an unusual smell on their breath, body or clothing? Drug and alcohol addicts often conceal their symptoms or downplay their addiction, so it’s important you express your concerns when you notice the warning signs. The earlier they seek and receive help, the greater chance they have at a successful return to sobriety. When they are sober, tell your friend you’ve noticed their excessive drug or alcohol use. Emphasize the positive sober behavior you admire and the destructive drunk or high behaviors you’re concerned about. Do not be accusatory or judgmental, as this might cause your friend to withdraw and further ignore their issues. Offer to go with them to seek treatment at your student health center, and consult resources online. How Do You Know if You’ve Developed a Drug or Alcohol Addiction? College is a great time to meet new friends and engage in social activities, but if your drug or alcohol use has been negatively affecting your everyday life, you may be at risk for developing an addiction. Do you feel uncomfortable when drugs or alcohol are not available? Do you drink heavily when you are disappointed, distressed or get in a fight? Have you ever been unable to remember part of the previous evening, even though your friends say you did not pass out? Has a friend or family member expressed concern about your alcohol or drug use? Have any of your blood relatives had an addiction to drugs or alcohol? Do you sometimes want to continue your drug and alcohol use when you’re by yourself? If you answered yes to any of these questions, or believe you have an addiction, consult your student health care center today and find out what your options for treatment are on campus. Addiction is a serious growing crisis for college students today, and can be effectively treated with the help of a trained healthcare professional. National Institute for Drug Abuse: This database provides reports on recent research and prevention programs for alcohol and drug addiction. NIDA offers findings on the latest research projects, clinical trial offers, and guidance for those seeking treatment. Substance Abuse and Mental Health Service Administration: This is an agency within the Department of Health that works towards advancing behavioral health in the United States. This site has extensive information on substance abuse, a treatment locator by zip code, and a national hotline available 24/7, 365 days a year for individuals suffering from substance abuse. National Council on Alcoholism and Drug Dependence: This organization provides support for those suffering from substance abuse. The site has information for every stage of addiction, from admitting your issues to recovery; it also hosts a directory of programs and services offered in your area. Alcoholics Anonymous: This 12-step program is designed to give alcoholics the opportunity to rebuild their lives and learn to live without alcohol. AA provides members with a support group and sponsor to help through the rough patches. You can find a location for a meeting near your zip code on their site. Narcotics Anonymous: Much like AA, this is a 12-step program designed to help those who have developed a dependency on drugs. You can find meetings near you, publications and news, and the support you need to break your habit and work through addiction. Treatment for any of the conditions found in this guide should be discussed with your healthcare provider. Do not begin a medication regimen without first consulting your doctor or therapist. These professionals will help determine your dosage or if you can find recovery through therapy. Please remember that not all treatments work for everyone; only by talking to a professional can you determine the proper choices to consider. Psychotherapy involves talking to a professional therapist, counselor or Psychologist to find the root cause of a problem, learn ways to cope, and avoid relapsing into unhealthy habits and tendencies. There are two overarching branches of psychotherapy: Cognitive-Behavioral Therapy (CBT) and Interpersonal Therapy (IPT). CBT involves altering internal perceptions. Therapists who use CBT work emphasize positivity in their patients’ lives. IPT focuses on external factors that may cause individuals to fall into a depression or develop an addiction. IPT counselors work on pinpointing toxic relationships and offer ways to make them better or end them safely. Under psychotherapy treatment, you will also find the following forms of therapy included or overlapping: family therapy, psychodynamic therapy, DBT therapy and EMDR therapy, to name just a few approaches. Often reserved for severe cases, antidepressant and anti-anxiety medication are prescribed by a healthcare provider or licensed Psychologist to patients who aren’t responding to psychotherapy alone. In many cases, antidepressants are given to those with anxiety disorders, but it is recommended that those on medication continue to talk through their problems with a professional. It is important to be patient when beginning a new medication; you might not feel the effects until your body has had a chance to fully acclimate to the new chemicals. This kind of treatment works with small groups of individuals suffering from similar conditions; groups are led by one or two Psychologists. Sharing your experiences with others who understand what you’re going through and where you’ve been (and hearing their stories as well) can help you realize you’re not as alone as you once thought. These groups become support systems able to help you put your fears, concerns and actions into perspective. The groups can also be a way to befriend people who will help you if you find yourself relapsing into old, unhealthy habits. Inpatient treatment occurs with patients in a hospital or rehabilitation center 24/7. For the extent of their care, patients live in close proximity to nurses and doctors who are able to help them get better. People suffering from eating disorders or addictions that have reached an extreme level are often admitted into a treatment facility in order to get better. In many ways, inpatient treatment is similar for both illnesses; patients are supervised during the day, attend group and individual counseling sessions and receive treatment that will teach them healthier ways to cope. Inpatient care for eating disorders often involves monitored meals to help with weight gain or the adoption of proper eating habits. Outpatient care allows patients to live at home and go to a treatment facility during the day. Some outpatient treatment is more intensive and requires patients to be at the hospital or rehabilitation center for several hours, while others require patients to visit counselors for a few hours every other day or so. For addicts, outpatient treatment consists of longer sessions with counselors – between two and four hours – to prevent relapse. Those with eating disorders also meet their therapists, but some are required to meet with nutritionists and dieticians to plan meals. More intensive outpatient care for individuals with eating disorders can last between eight and twelve hours and consist of two monitored meals. When overcoming addiction, the withdrawal process can be intensely grueling. Detoxification programs, which usually consist of medically-managed withdrawal, help patients through this trying time; they are, in effect, the first step to recovery for addicts. Cleansing the body of all toxins does not fix the problem, so one of the above steps is often included in addiction rehabilitation to prevent relapse. There has been much discussion on the lack of effectiveness or support from universities on the growing mental health crisis on campus. Both schools and students have the same goal of getting mental health treatment to students in need, but both are having a difficult time finding middle ground. Students are becoming increasingly aware of the fact that more and more of their peers are being reprimanded for reporting their crises to healthcare center professionals, sometimes being kicked off campus and forced into hospitalization, even though their crisis didn’t necessarily require them to do so. A recent Newsweek exposÃ© related the story of a Princeton student whose rash decision to overdose, a clear sign of mental distress, was met by the university’s decision to force the student to withdrawal, sticking his family with a hefty bills for his few weeks of attendance at the school. The Americans with Disabilities Act (ADA), and other federal disability laws, prohibits discrimination against students whose psychiatric disabilities “substantially limit a major life activity.” It also mandates that colleges and universities provide students with “reasonable accommodations,” such as less school work and extended deadlines, provided they can meet nondiscriminatory academic and behavior standards. The ADA also stipulates that the student’s disability must not pose a significant risk of harm that cannot be mitigated by reasonable accommodations. It is important to take your mental health seriously and to seek help if you think you or a friend is at risk. If someone you’re related to has suffered from a mental illness, know that your genetics could be a factor in your development of a mental condition. Research your mental health treatment options on campus, and get involved with support groups, or consult your student health center to learn more about student wellness. Take charge of your life on campus, and take the first step towards a healthy college career. Jeff Yalden is an award winning youth motivational speaker and mental health speaker specializing in working with you in high school and college campuses. Jeff also works with mental health workers, families, and educators. His work has taken him to all 50 states and 48 different countries. 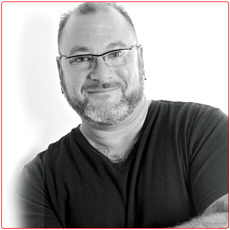 He’s the author of “Your Life Matters”, a radio show host of “The Jeff Yalden Show”, and a certified speaking professional. For more information, please visit www.JeffYalden.com.